Lisa Lobsinger has logged many hours with Broken Social Scene and is an excellent performer. Unfortunately, this collection doesn't find her living up to her full potential. 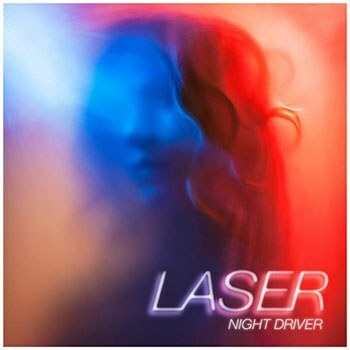 A new project from former Broken Social Scene member Lisa Lobsinger, Laser delivers lots of dance-oriented tunes awash in layers of watery electronic vibes that take us back to 1983 or 1985 with their dreamy, synthy sound. Lobsinger is, of course, a very able vocalist who can wow even when she’s underplaying the emotions of a particular song or singing materials that’s not quite equal to her talents. Unfortunately, that’s a high percentage of this record. By the time we’ve arrived at the fifth track, “Bleed You”, we feel as though we heard virtually all of her tricks in the record’s opening moments. Too bad because material such as “Maniacs” and “Linda” have some sweet, sweet moments despite two of those tracks being nearly interminable and under the four minute mark. This is the kind of record you could pack off to the beach for an entire summer then promptly forget about. Too bad. Lobsinger deserves more.